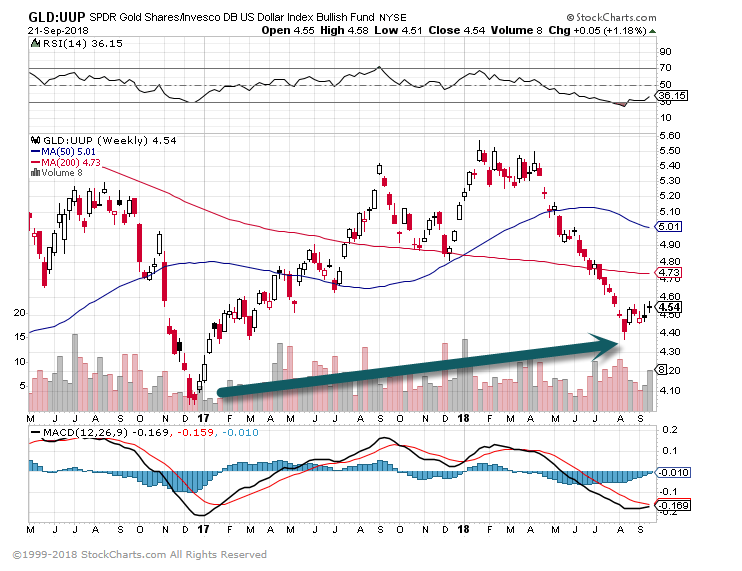 This chart shows GLD (gold ETF) vs. U.S. Dollar Bull ETF….We have not gone below 2017 lows. 3.U.S. 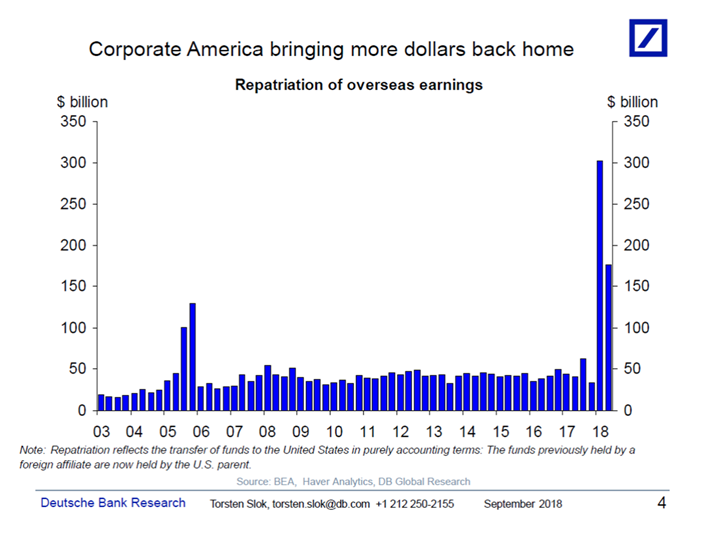 Corporations are Repatriating Record Amounts of Cash. 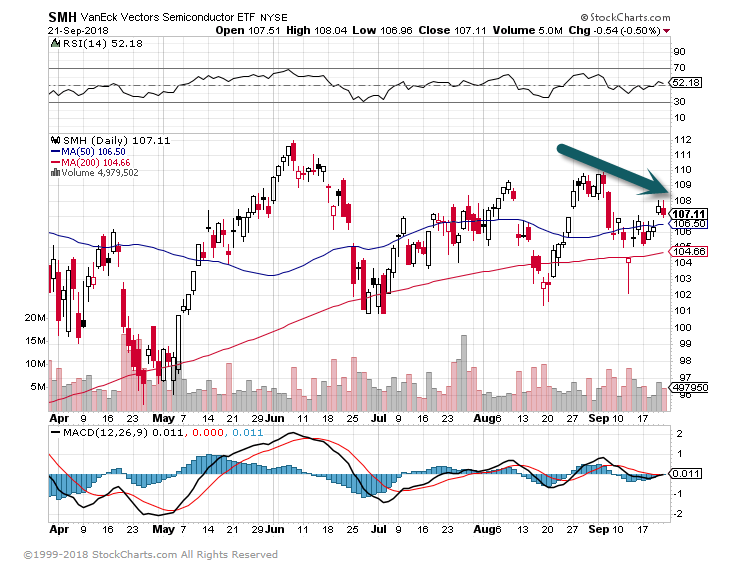 The latest data shows that repatriation of corporate earnings continued in Q2, see chart below. 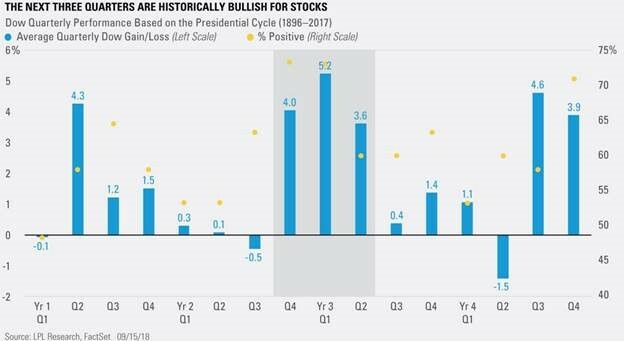 For more discussion of what this means for capex and where we are in the cycle see here. 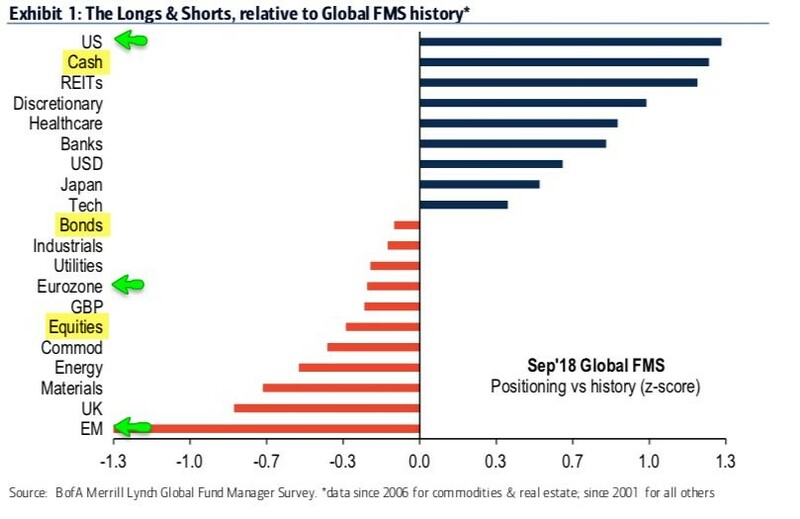 4.Now That Global Rates Going Higher…Correlation Between Global Central Bank Balance Sheets and U.S. Stocks Will Come into Focus. 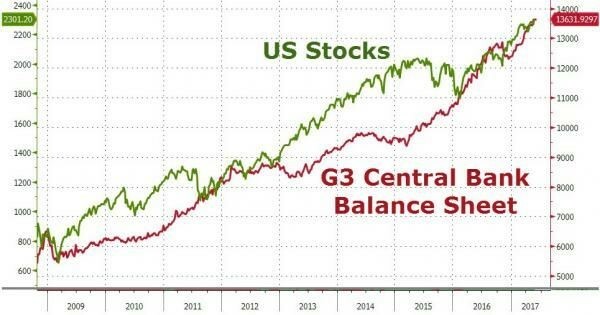 Correlation between U.S. stocks and Central Bank balance sheets. 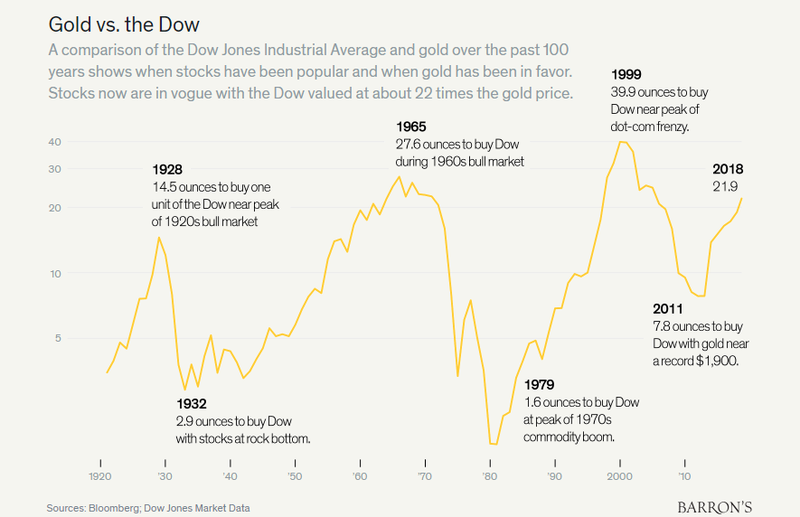 5.Markets Make New High Without Tech. 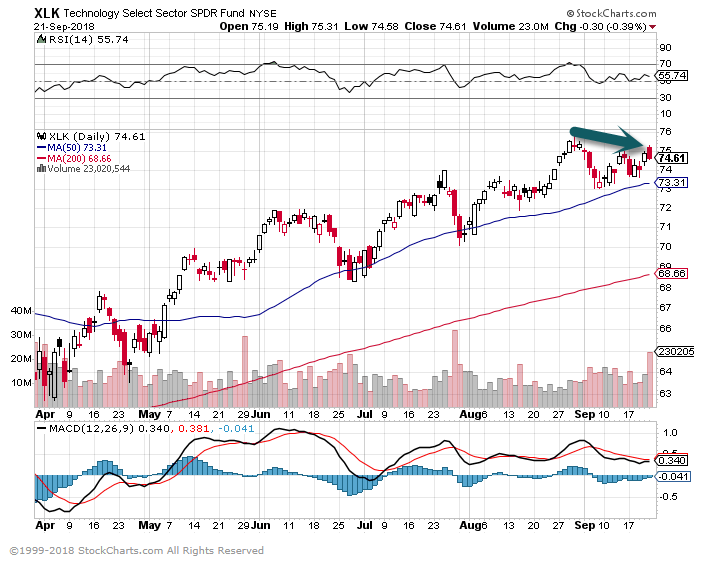 SMH Semiconductor ETF below highs. 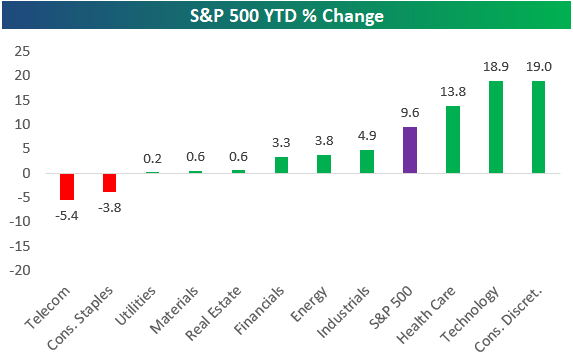 Below is one of the many charts included in this week’s Sector Snapshot, which simply shows the year-to-date performance of the S&P 500 and its eleven sectors. After a rally to new all-time highs today, nine of eleven sectors are in the green for the year, with just Telecom and Consumer Staples in the red. Health Care, Technology, and Consumer Discretionary are the three top performing sectors with double-digit percentage gains so far in 2018.